When I talk to my mother on the phone, I never know what to expect. Since her stroke several years ago, she possesses an acerbic bluntness, alternating with undiluted love and affection. Her detours into the distant past are chronicled with a clear urgency that sometimes dissolves into obscurity and non-sequiturs. Pronouns lose their specificity. The “she” at the beginning of any story might morph from a grandmother, to a sister, to a faithless childhood friend whose betrayal is as fresh and cutting as it was in 1936. And our conversations include silence. Lots of silences. Sometimes I try to fill these gaps, but often times I just sit in the silence with her. Like some avant-garde experiment, I tell myself we are sharing a conversation. It just happens to have no words. “What are you listening to?” my mother said. I was surprised she could hear it. My mother loved The Beatles. Not as much as Sinatra, but she loved them. She’d shepherded my sister Julie through the throes of Beatlemania, then she had to endure it again with me in the 1970s, and my affliction was even deeper than Julie’s had been. But my mother had never been a huge “John” fan. She’d liked Paul. He was sweeter. Safer. John’s politics unsettled her. “Oh but listen to his voice,” I’d trill, lost in ecstasy, eleven years old, turning up the primitive volume knob. “It’s a little nasal, isn’t it?” she’d say suspiciously. Oh yes! Nasal! I’d swoon. Gloriously nasal! Someone on the radio, reporting from a fan gathering in Central Park, had said that very thing a few minutes earlier. And she drifted off again into a vast silence. I asked her if she remembered how we lived in that little house in Massachusetts in 1980. I left out all the complicated parts. How my father had arranged for me to attend a Boston press conference and meet John Lennon on December 13. 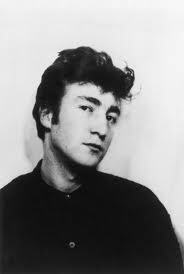 I confirmed this life-altering fact with my father at 6:45 pm on December 8, and by 11:00 pm John Lennon was dead. How I came downstairs to get the paper in the morning, and my mother stopped me before I went outside and said “John died,” and I didn’t believe her. I knew this wasn’t true, at least in the logistical universe of the Peterborough nursing home. But what of the places she visited in her long silences?Who could say what happened there? I remember how the world honored John with ten minutes of silence on December 14, 1980. I sat on the floor of my room in the little house in Massachusetts and rolled the dial of my radio. A violin surfaced in the static and was gone. Then nothing. I remember that moment was the first time I realized that silence had texture, feeling—even a kind of intelligence. I don’t know if my mother really thinks about John. I don’t know where she goes. Can we call them reveries? Alternate lives? I don’t know if the “he” in her story is John Lennon, or the Marine she almost married instead of my father, or Jesus Christ, or her own lost brother. John Lennon, this name that contains the private memories and hopes and loves and triumphs of millions of people. Who is this “he” exactly? There is the song as it first happened, when it first was born, and then the song it has become as an echo, gathering all the love and associations that people have attached to it. Maybe my mother is always speaking from this sort of echo and of understanding, that isn’t about time or logic or even about boundaries between here and there, between you and I.
Thirty three years ago, I sat on the cold wooden floor hollow with grief, in a world tasting of aspirin and snow, turning the dial of the radio through the ten minute vigil. I remember the slight hiss of emptiness, and I remember marveling at that miraculous absence of sound, a quiet so deep that it felt like another world, a place one could actually go.